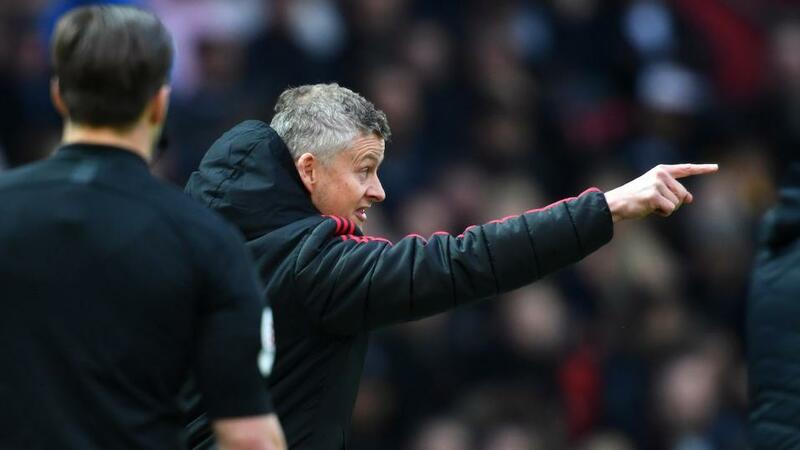 Can Ole Gunnar Solskjaer point Manchester United to victory over West Ham? "West Ham United have lost six of their last seven Premier League away games (D1), failing to score in each defeat." Manchester United are [2.6] to win to nil. After winning 11 out of 12 top-flight matches against West Ham between May 2008 and September 2014, Manchester United have only emerged victorious in two of their last eight such meetings (P8 W2 D4 L2). The draw is [5.3]. Following their 3-1 victory at the London Stadium in September, West Ham are looking to complete the league double over Manchester United for the first time since 2006-07, under manager Alan Curbishley. A West Ham win is [8.8]. Only against Fulham (11), Leeds and Arsenal (both 12) are Manchester United on a longer unbeaten run at Old Trafford in the Premier League than against West Ham (10 - W8 D2). United are [1.43] to claim victory. Manchester United have lost two of their last three Premier League games (W1), as many as they had in their previous 22 in the competition (W14 D6 L2). West Ham are [7.0] Draw No Bet. Manchester United are winless in their last four Premier League games immediately following a European fixture, losing at Man City, Liverpool and Arsenal and drawing at Southampton. West Ham are [3.0] to avoid defeat Double Chance. West Ham United have lost six of their last seven Premier League away games (D1), failing to score in each defeat. Manchester United are [2.6] to win to nil. After winning away against Arsenal, Liverpool and Manchester City at the start of the 2015-16 season, West Ham are winless in 19 away league games against 'big six' opposition (D6 L13), losing all four this season by an aggregate score of 1-10. Manchester United are [2.1] to win half-time/full-time. Manchester United striker Romelu Lukaku has scored in his last five home games against West Ham in the Premier League (six goals); only four other players in the competition have netted in more successive home matches against a single opponent (Alan Shearer v Everton (6), Thierry Henry v Aston Villa (6), Jimmy Floyd Hasselbaink v West Ham (6) and Sergio Aguero v Liverpool (7)). Lukaku is [2.0] to score. Of managers to have faced Man Utd at least five times in the Premier League, only Pep Guardiola (60%) has a higher winning ratio against the Red Devils than current West Ham boss Manuel Pellegrini (4/7 - 57.1%). The draw half-time/West Ham full-time double result is [19.0]. Manchester United's Paul Pogba has 11 goals and nine assists in the Premier League this season. Pogba is [2.4] to find the net.